Belle Communication is a woman-owned, millennial-powered, award-winning PR agency in Columbus, Ohio. We speak modern public relations as a first language, which means we’re fluent in social media, influencer marketing, experiential events and their impact on bottom line results. Fueled by seven Core Belle-iefs, we champion our clients by consistently bringing results that move the needle and make them look like the rock stars they are. By treating each interaction with grit and grace, you can count on us to never sell you something you don’t need and always keep our word. Learn more about our approach to dive deeper into what makes an ideal partnership. We align ourselves with organizations that make a difference and awards that speak to the significance of our client's work. Driven to leave each person she meets feeling inspired, energized and full of big ideas, Kate is fueled by the belief that the possibilities truly are limitless. Whether trailblazing in business or island hopping in leisure, Kate champions lifestyle design and the importance of culture to empower team, clients and community. Katie is a mentor, cheerleader and strategist who pushes our account team to continually raise the bar. With a laugh that’s infectious and experienced intuition that’s dead-on, Katie is likely to read your mind and deliver before you knew you had the need. Heather represents many Belle firsts. Our first employee, first toe-dip in the work-from-anywhere model and even our first “Belle baby” (hi, Keira!) She embodies each of our Core Belle-iefs and helped create them. She’s a critical thinker who loves spreadsheets and food, which both keeps us laser-focused on goals and ensures we try the best restaurants on team trips. It’s handled. This quote is not just reserved for Olivia Pope as Ciara ensures our team doesn’t miss a beat with every T crossed and I dotted. She exemplifies our Core Belle-ief of Enthusiasm: BRING IT and is anything but sleepless in her current city of Seattle. Social analytics. Strategic advertising campaigns. Home run media results. Leah can do all three seemingly in her sleep. She’s that rare person who is left- and right-brained, devising creative and analytical solutions that move the needle for the clients she serves. An eight-time half-marathoner, Mary goes the distance every time to make magic happen for our clients. Her tenacity, smarts and ability to build lasting relationships allow her to lead campaigns and secure top-tier media results with a fierceness that would make Beyoncé proud. We’re not sure event magician is a thing but if it were, Tiffany would be center stage. From experiential event magic to special project queen, her ability to bring all the pieces together through a creative lens is unmatched. With the chill of a seasoned yogi, Jenna keeps her wits about her whether she’s securing the perfect media coverage or knocking out highly engaged influencer campaigns. Although Cali born and bred, she currently practices her zen in Columbus, Ohio with pit stops in locales like Thailand. Known for her wicked one liners, Rachel stealthily secures media results like it’s NBD. She’s hip to what’s now or so-last-week on social and she’s always ready with a Michael Scott reference. Oh, and she’s pretty much been everywhere in Europe. 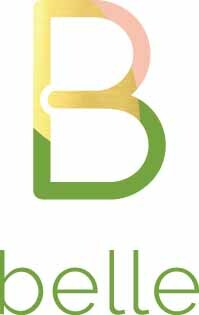 Belle Communication was founded in 2013 by a millennial with big dreams but not a lot of business experience. The vision was to have my cake and eat it too by empowering meaningful work while maintaining thriving relationships. This was unheard of in an industry consistently ranked as one of the most stressful in the US. It was a work-life integration experiment based on a remote, work-from-anywhere model with benefits like unlimited vacation and flex schedules. It was bootstrapped and built without formal sales or business training. Crazy? Perhaps. It's also turned out to be a model that's quite successful for our team. We’ve achieved many milestones in just over five years. We’re a multi-state team that has partnered with more than 60 brands from Nestle to Le Meridien, winning shelves of awards as a top ranked PR firm and progressive organization. Heck, we even helped bring Jolt Cola back. Most importantly, we’re building an agency that goes against the grain of burnout that runs rampant in the public relations industry. We’re helping to elevate the standard of communication and excellence with the expectation that PR is possible to measure, and awareness isn’t the only metric. It's a disservice to our industry to settle for press releases, templates and lack of follow through. We have a team that continually raises the bar for our clients and our agency. Some of my proudest moments have been as part of this brilliant team. Belle is made up of incredibly smart, capable and creative individuals who invest their time, talent and heart into the work they do each day. I’m continually inspired by our team and am humbled by the clients who have and continue to partner with us. It's good to stop and soak in how far we’ve come. Those are the Cliff's Notes of Belle’s story so far. Thank you for being a part of the journey. WANT TO BE A BELLE? We are always looking for the right people to join our team. Our team members are strong communicators who are driven, detail-oriented and bring big thinking to the table - and these are the best indicators that the fit will be right. Whether you have traditional PR experience or you can’t get enough of social media, if you take pride in your work, are a self-starter, love writing and have big ideas, we’d love to hear from you. Learn more about what it’s like to work here and current openings.